Another week has passed and summer is in full swing now. The weather is HOT, HOT, HOT here. There are droughts in some places, floods in other areas and massive state wide forest fires as well. Whatever your weather is, I hope you are safe! Since summer is in full swing here in the US, it’s that time to take a family vacation. I know my boys are begging to go camping! It’s not my idea of a relaxing vacation but I am sure we’ll take them out at least once this summer. 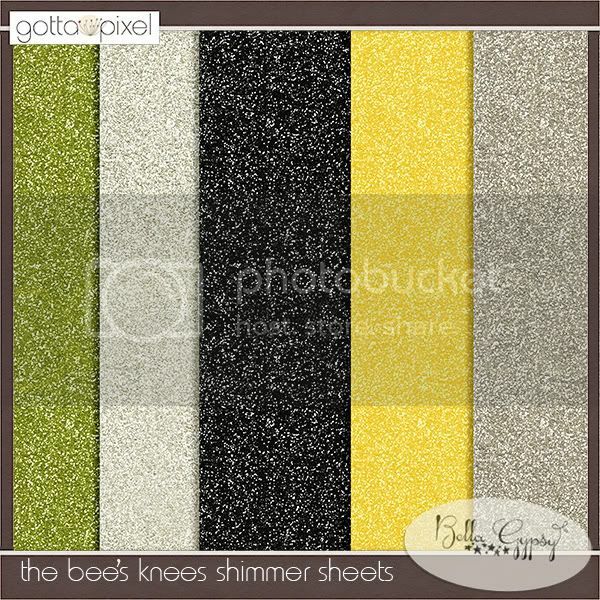 If you like to camp, Bella Gypsy has the perfect kit that was released today at Gotta Pixel and A Cherry on Top. Check out Happy Campers. You can all purchase the bundle and save! There is one more release to mention! Yet to Be was released yesterday at The Digichick! 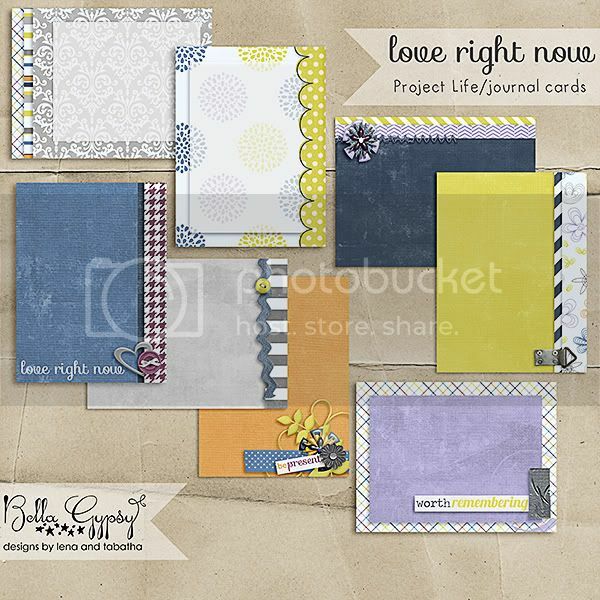 This kit is gorgeous and perfect for scrapping those everyday photos on the ones you love! I am going to end this week with some freebie wordart that I made using Happy Campers! You can download HERE on click on the preview! I want to start off my saying Happy Summer! Summer is officially here and the HOT weather is definitely reminding us. I don’t know about where you live but we could use some rain. It has only rained here once in the past three weeks or so and everything is starting to show it. No more green grass and the flowers are starting to look unhappy as well! I am ready to start doing a rain dance in hopes we might get at least a few hours of rain. It’s Kim here on this beautiful, hot Friday to bring you the latest new from Bella Gypsy land! There are exciting things happening for Bella Gypsy so be sure to check the blog each week for updates, releases and freebies! There were not any new releases this week at The Digichick but there is a new release at Gotta Pixel and A Cherry on Top today. I would like to thank you for all the comments from the freebie last week! I love hearing that you love the freebies I make! If there is anything specific you would like to see in the upcoming weeks feel free to add in the comments. Do you like alphas, frame clusters, borders, quick pages, stacked backgrounds, journaling cards?……just let me know what you would love to see! 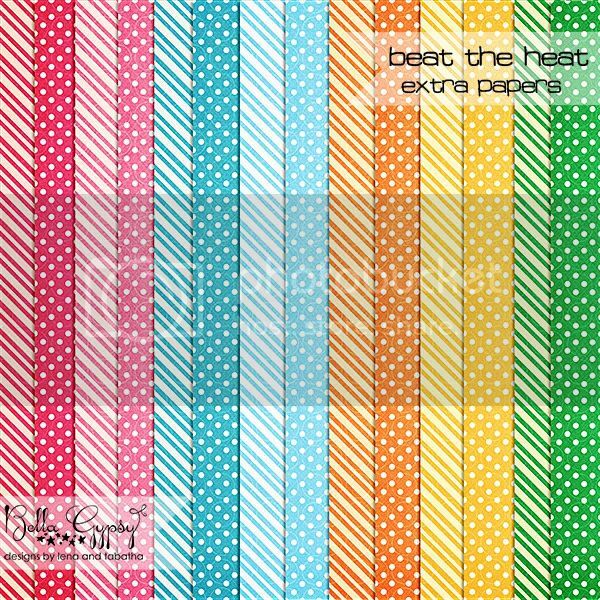 Here is a stacked background paper freebie. Click on the preview or click HERE for your link! Lena here! Long time no blog, right? Our dedicated peek girl, Tricia, is taking a little time off of blogging. 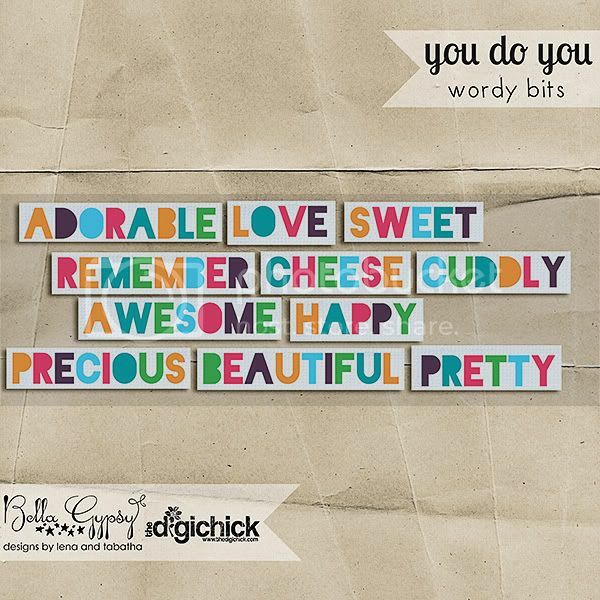 Bella Gypsy is releasing two new kits this week…one will be up in just a few hours at The Digichick. I don’t have a peek for that one, as there’s barely a point in it since it’s releasing so soon. But I do have this lovely peek of Love Right Now. We’ve decided to move the Win It Before You Can Buy It posts over to Facebook. The contests are a little bit easier to manage over there. I know it may disappoint a few, and for that, I’m sorry. I hope you can respect that from a business standpoint, it’s easier and faster to use FB for the peek contests. Just a quick head’s up that if you didn’t snag Playful when it was originally released, now’s your chance to own it for half price! It’s part of Gotta Pixel’s Dollar Pixels today so it’s on sale for $3! Check it out! Happy Friday Scrappers! It’s Kim here with some new goodies and a freebie….so keep reading! I hope everyone is enjoying this summer like weather! It’s been gorgeous here and we have been trying to spend as much time outside as we can! The heat is creeping in and I am sure we’ll be hitting the pool soon! With warm weather, means lots of pictures of the kiddos trying to stay cool and “beat the heat”. 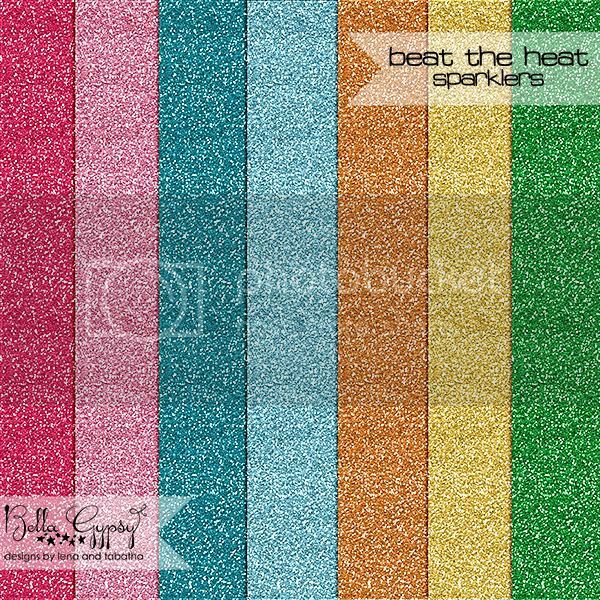 Bella Gypsy is releasing a new bundle today called Beat the Heat and it’s perfect for scrapping those summer time pictures! If can be found at Gotta Pixel and A Cherry on Top. 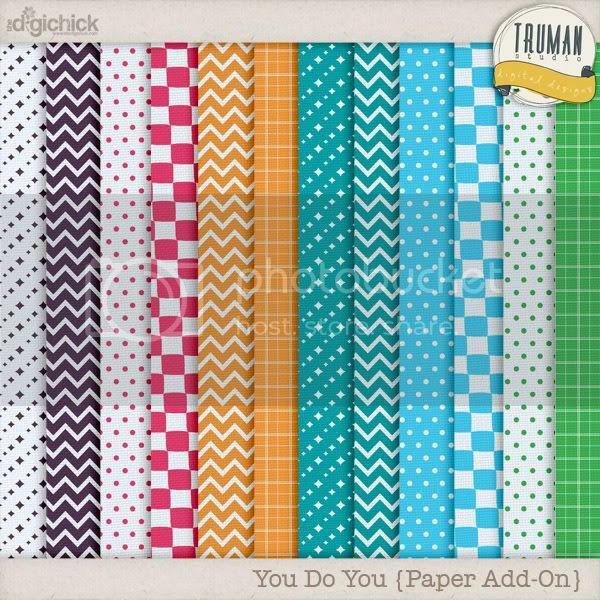 Yesterday, a collab called “You Do You” was released at The Digichick. 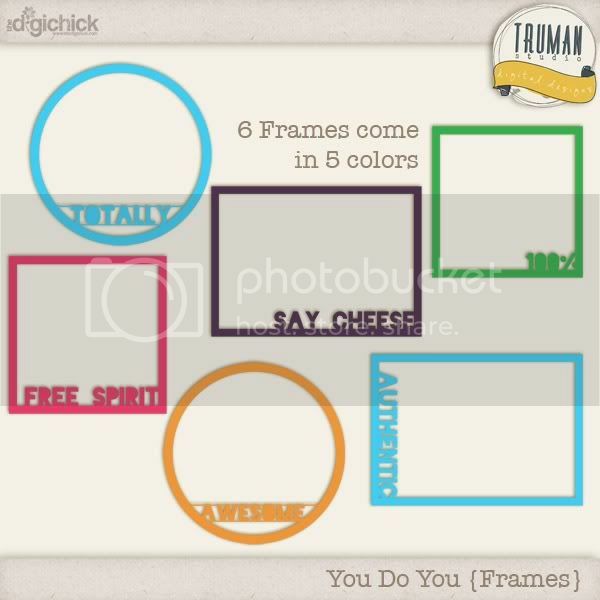 Here’s a little freebie for you this week! Enjoy!! Click HERE or on the preview. Remember, you can pick up each pack for $1 for a limited time! Wow! Can you believe another Friday is here! This week has been crazy! We have had soccer practices, baseball games and are planning a birthday party! This weekend is going to be crazy busy for us too! We have family coming from out of town, two soccer games, a baseball game, two end of the year soccer parties, a baseball family movie night and the biggest event of the year…..our very first school party!! Our son decided he wanted a pirate party at home so I have been busy planning games and decorations ideas for the past few months! I hope I get a little time to sit back and enjoy the gorgeous weather but I don’t think I will get that until Monday morning! June is now into it’s second week and that means July will be here before we know it! 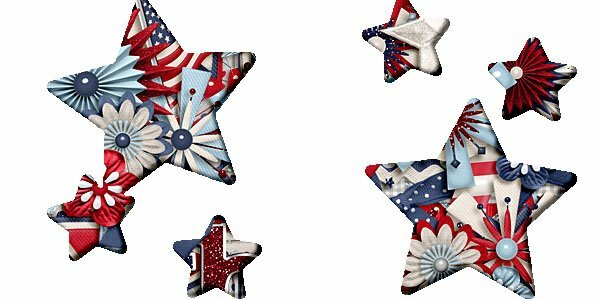 To start off the July festivities, Bella Gypsy has a fun, new collection at The Digichick called Star Spangled. You can pick everything up as a bundle or can buy items individually. 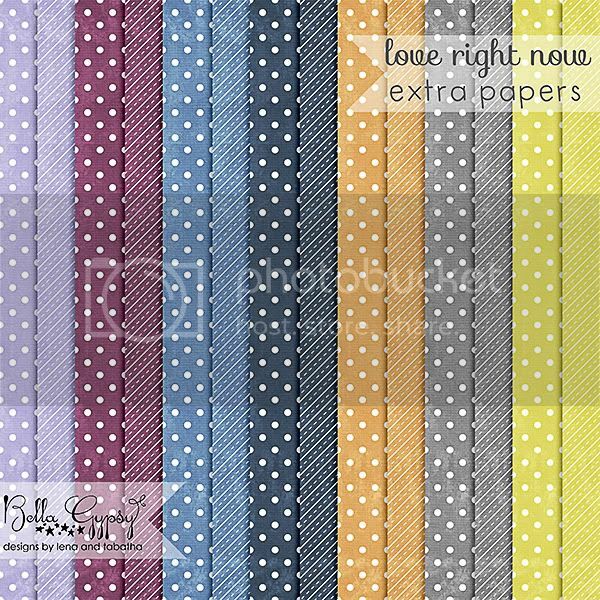 To kick off the patriotic season, I made a stacked background freebie for you! You can click HERE or on the preview for your link. I will be back tomorrow with some special releases for Gotta Grab It! Today’s lucky number is #3 – Kait. Please contact me BellaGypsyGiveaway@gmail.com to claim your prize. Be sure to put “6/8 BG winner” in the subject line. Congrats to the winner and I hope everyone will try again next week. Summer is officially underway! I just got back from a mini-vacation and now I need another vacation to rest up from the last one. Sound familiar? This summer is just moving right along and the 4th of July will be here before we know it here in the U.S.
Then on Saturday, be sure to check out what Bella Gypsy has to offer for the Gotta Pixel Gotta Grab It event. Now it’s Giveaway time! 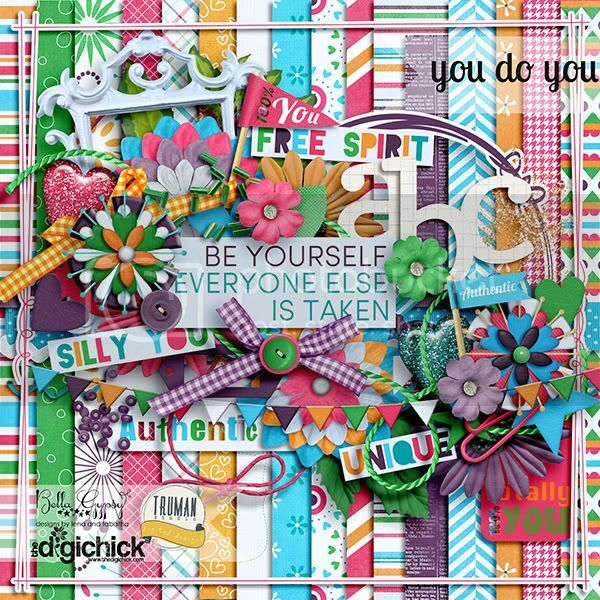 This week we are featuring the kit from The Digi Chick! For your chance to win this kit and the collection of goodies that go with it, please leave a comment below by 8:00 p.m. EST on Thursday, June 7. The winner will be posted in a blog post by 6:00 a.m. on Friday, June 8. Remember, you have to claim your prize, so be sure to check the blog on Friday. Good luck!